The GIBBORIM Gun Belt™ was designed by Mission Spec™ to be the ultimate Every Day Carry (EDC) belt. The ultra-stiff nylon core allows for the GIBBORIM™ to aggressively support whatever burden you may place upon it without any sign of sagging. The GIBBORIM™ is then wrapped in a 1000D CORDURA® shell which gives the belt a very polish look while also offering outstanding abrasion resistance. 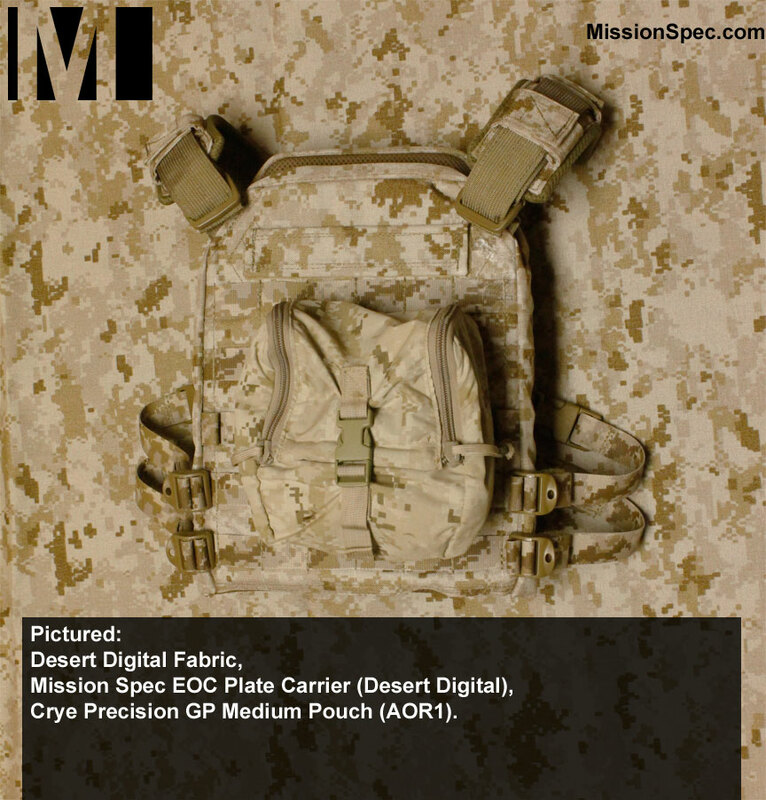 Mil-Spec webbing is used to interface with your buckle of choice. Buckles options include the RAPTOR™ Gen2, ITW G-Hook, and ITW Polymer. The GIBBORIM™ was designed, tested, and manufactured in the United States with US sourced components and comes with a Limited Lifetime Warranty. 1000D CORDURA® outer layer. (500D where 1000 not available). Ultra-stiff nylon core for load support. The Raptor Buckle™ Gen2 (above, left) is constructed from 7075 aluminum, aluminum forged, sandblast hard anodized, ANSI Z359.1-2001, CSA, CE, NFPA 1983. The Gibborim Gun Belt (Raptor Edition) was switched from the Gen1 Raptor to the Gen2 Raptor Buckle in May, 2016). The ITW G-Hook™ (above, center) is a stainless steel, simple, solid piece clasp. 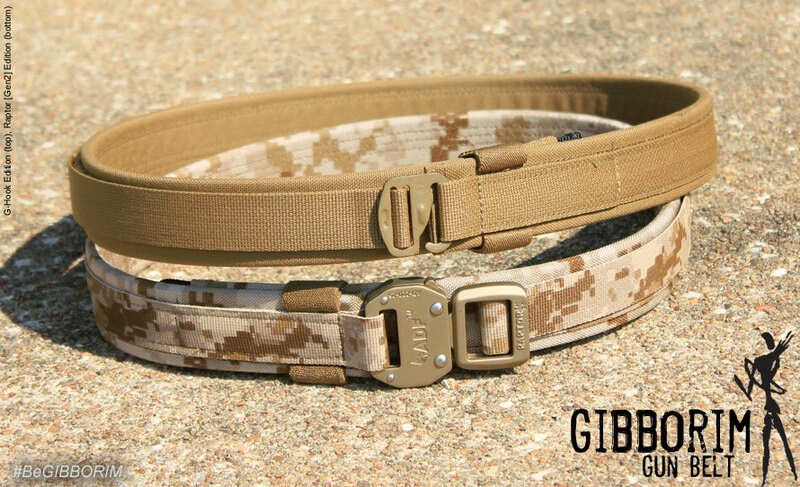 GIBBORIM™ belts that utilize the G-Hook™ are extremely low profile. The ITW GTSR buckle (above, right) is a very light weight yet strong buckle solution. A very positive ‘click’ lets you know that the buckle is engaged and then disengages in the normal side-squeeze fashion. What is it to be GIBBORIM™? GIBBORIM is an ancient Hebrew word meaning “Mightiest”; it also references soldiers, lions, hunters, and leaders. In the Bible, David’s “Mighty Men” were known to be courageous men of valor and perform powerful feats of war. They were called The Gibborim. This belt is designed to securely support your every-day-carry weapon; tools you will use to defend what matters most. We are called to be brave and courageous “Men of Valor”. To be GIBBORIM. 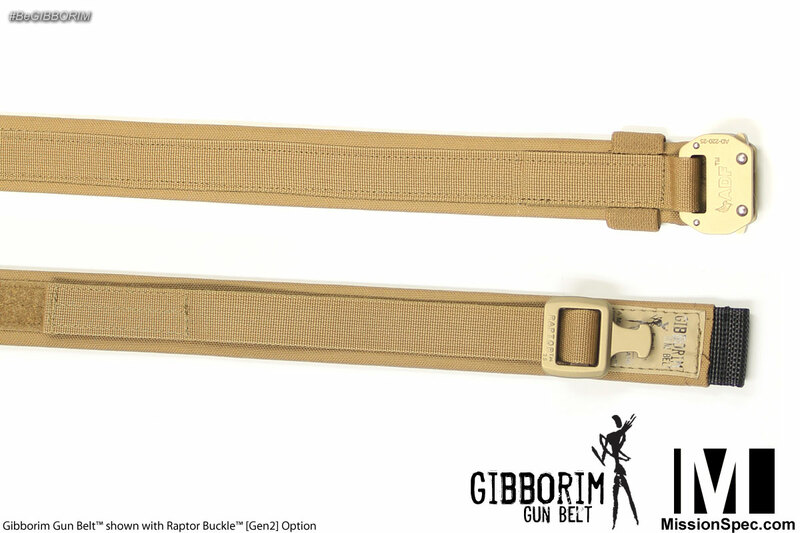 Did you purchase your Gibborim Gun Belt™ before 6/1/15? If so, you are eligible for a free upgrade for your belt. We have implemented a design change that makes the Gibborim™ better and we want you to have it. Click here for information about your free upgrade. 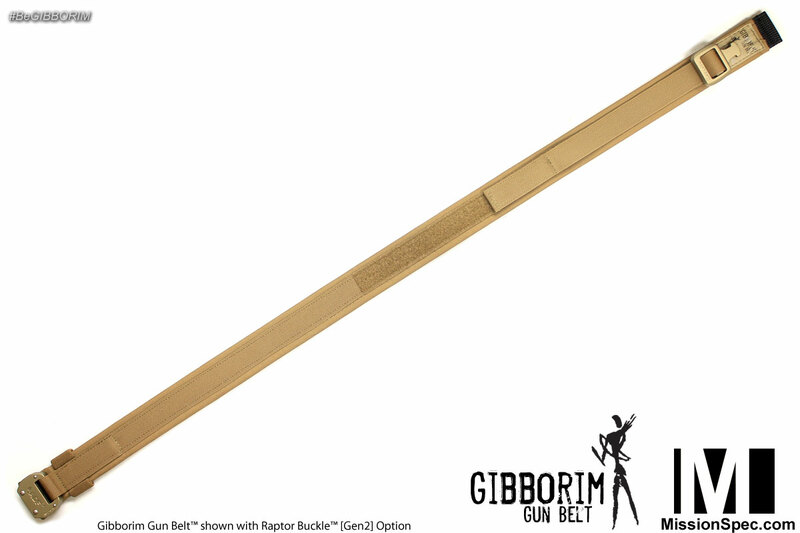 We are very happy to announce that the Gibborim Gun Belt (Raptor Edition) will now feature the Gen2 Raptor Buckle and is available now. We use actual waist measurements. For best fit you will need to measure your own waist with a proper tape and purchase the corresponding size below. Kryptek Typhon is currently not available due to webbing shortages. Please contact us for more information.